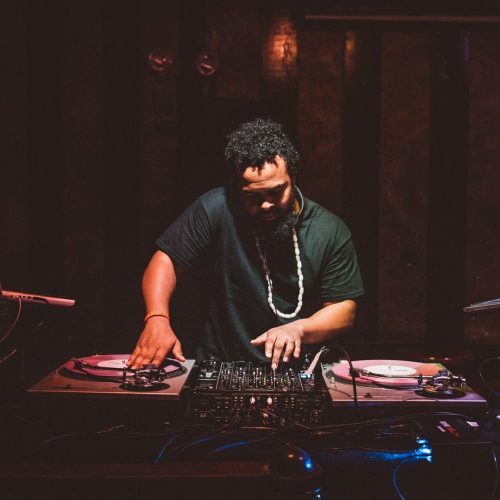 Bio – DJ RUN P.
Sought after for his internationally-acclaimed mixes and dynamic club sets alike, Run P. sincerely respects the craft of DJ’ing, and is guaranteed to move every crowd. What began at 11 years-old after his mother bought him his first Numark turntables persisted as a hidden hobby for the next six years. Run would cop vinyl from the local Pathmark record shop and quietly hone his skills alone — perfecting his craft, experimenting with sounds from all across the musical divide. Run P. has since garnered a reputation as a seasoned crowd-motivator (DJ), on-air personality (radio), and music supervisor at the forefront of NYC’s dance movement. Through QUENCH, his monthly NYC dance party, Run champions the electronic sounds and thorough basslines of house, disco, R&B, hip-hop, progressive soul, trap, funk, dancehall, afrobeat, and more. For more information about Run P., click here to send an email. A3C, Adidas, American Express, Balaami Radio, Central Park Summer Stage, Creative Time, Comedy Central, Empire Distribution, Heineken, Humble Riot, Generator Collective, Hotel Radio Paris, Ilana Glazer, Kelis, Lot Radio, Lulu Lemon, Monster, MoCADA Museum, NTS Radio, Okay Player, Red Bull, Rinse FM France, Rocksmith, Samsung, SXSW, Translation LLC, UnitedMasters, W Hotels.